Probation sounds great when the only other alternative is jail time, but the relief felt when a judge announces a suspended sentence instead of active incarceration can be short lived. Not everyone is built for probation, and while some may breeze through, others are in a constant battle to complete their requirements. Many times it’s the officer who makes the probation term next to impossible to complete, but other times life simply gets in the way. Whether there’s just not enough time to comply with all the requirements or there’s an officer who’s out for blood, probation violations are so common these days that it almost seems as if they outnumber new criminal cases. The odds are stacked against anyone facing a probation violation, so it’s best to avoid one at all cost. While there is no secret formula to successfully completing probation, there are some relatively easy things that can be done to avoid a return trip to court to face a disappointed judge. Any defendant placed on supervised probation in Maryland must abide by the 9 standard conditions, which include reporting as directed, refraining from illegal drug use and not incurring any new criminal or jailable traffic offenses. The most common violations are missing appointments and catching new charges, but officers will violate a defendant for almost anything, including positive drug tests and failing to pay restitution. The new sentencing laws place limitations on the punishment for technical violations, but unfortunately the most common violations such as failing to report are not considered technical in nature. Again, the best way to beat a VOP is to avoid one altogether, and the best way to do this is to get off probation as soon as possible. Most judges will strongly consider granting an early termination of probation motion provided the defendant has fulfilled his or her obligations and completed roughly half of the term. For example a defendant who is sentenced to 3 years of supervised probation with restitution could conceivably be done with everything at around 18 months provided the fines, costs and restitution are paid, and no prior violations have occurred. If the Court requires drug treatment or anger management, get it out of the way early and file for early termination. If a motion for early termination is not granted the judge at the very least may consider converting the balance of probation to unsupervised, making life much easier and the odds of violation much lower. Other simple tips include keeping in touch with the probation officer regardless of how annoying it becomes. If you’re running 15 minutes late or can’t make an appointment call ahead and take a screen shot of the call. If you’re falling behind on restitution make any type of payment you can afford. Even if it’s 10 or 20 bucks and you owe hundreds, the Court will at least see effort is being made. Probation officers will rarely go out of their way to make sure you are not slipping up and they are often difficult to get in touch with. In order to avoid a violation you have to be proactive and you have to put up with the BS until it’s over. For the most part probation officers enjoy their power, and may let some minor issues slide if you’re just nice to them. In sum, probation can be annoying and in some cases painful, but the alternative is worse. If you need help having your supervision terminated, or would like to try to convert to unsupervised probation contact attorney Benjamin Herbst at 410-207-2598. 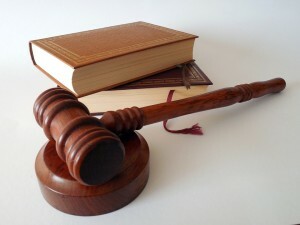 Benjamin specializes in Maryland violation of probation representation, and offers free consultations and payment plans. If you have a bench warrant for a violation of probation, Benjamin may be able to have it converted to a summons, and he will appear in court for you when the time comes.